KEN YUSZKUS/Staff photo. 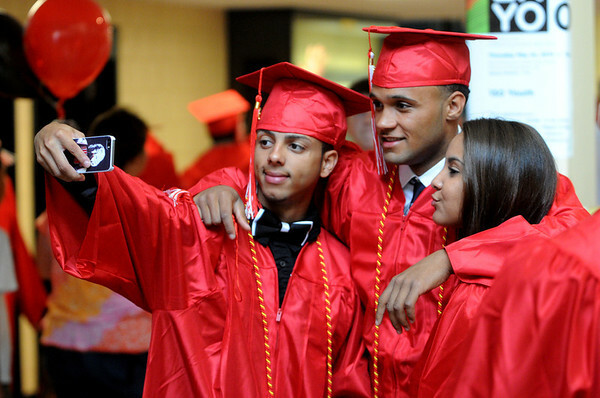 From left, Abel Nunez, Juan Martinez Rodriguez, and Yanna Noboa pose for a photo before the start of the Salem High School graduation. 6/6/14.